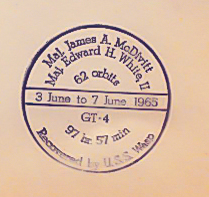 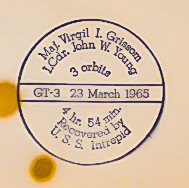 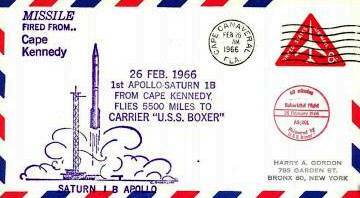 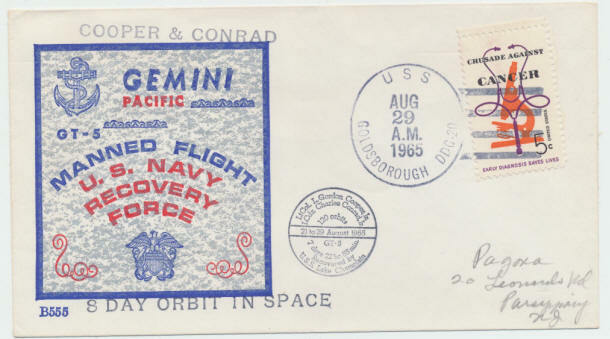 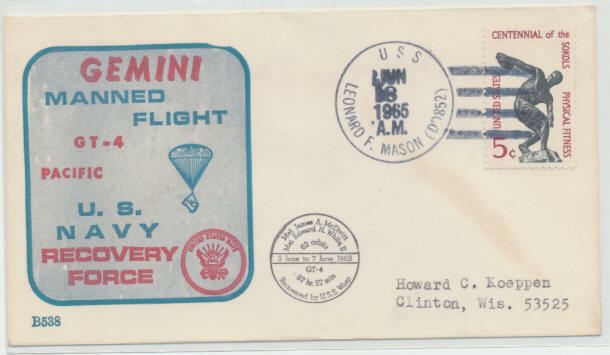 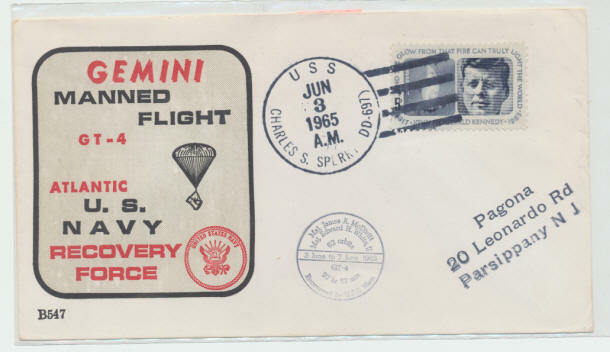 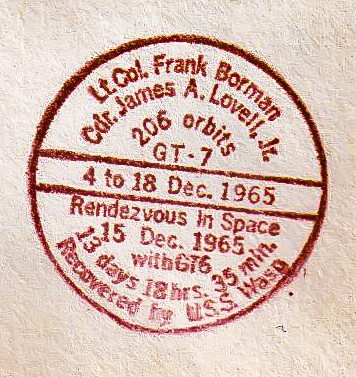 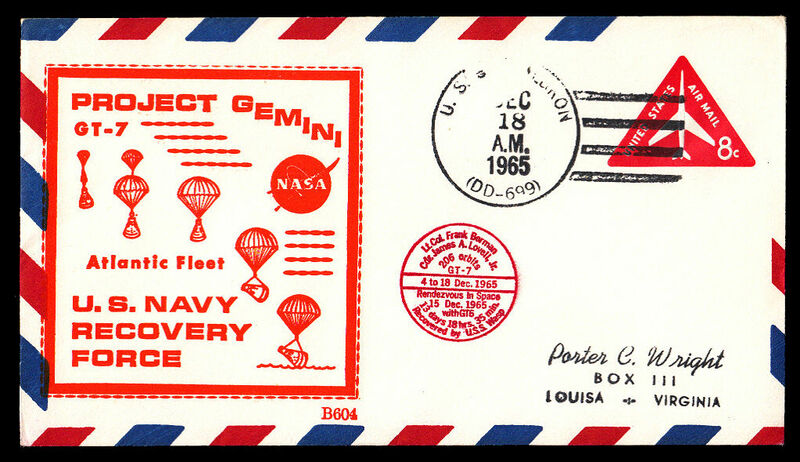 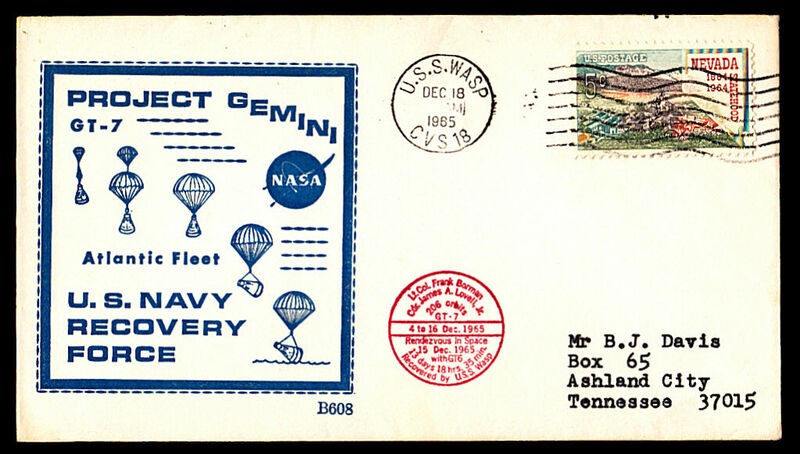 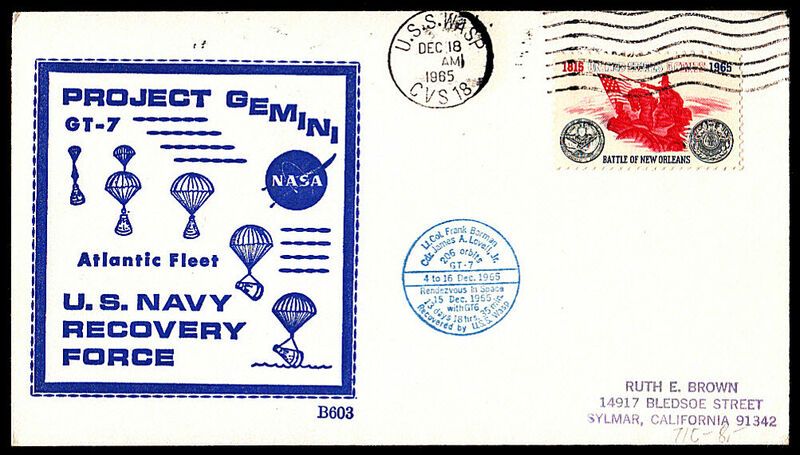 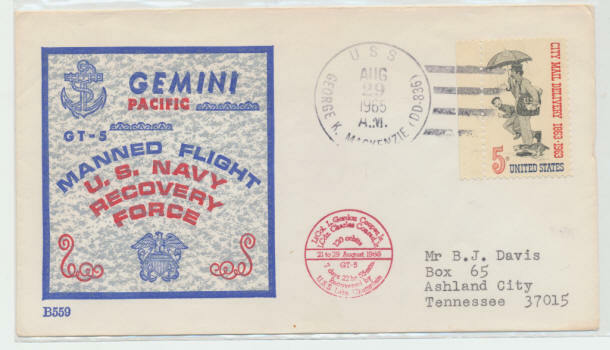 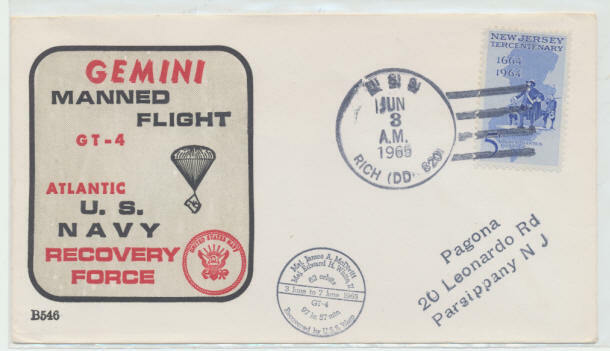 Note the small maroon, red or blue or black rubber stamp that was applied to collector's envelopes after the space flight was over. 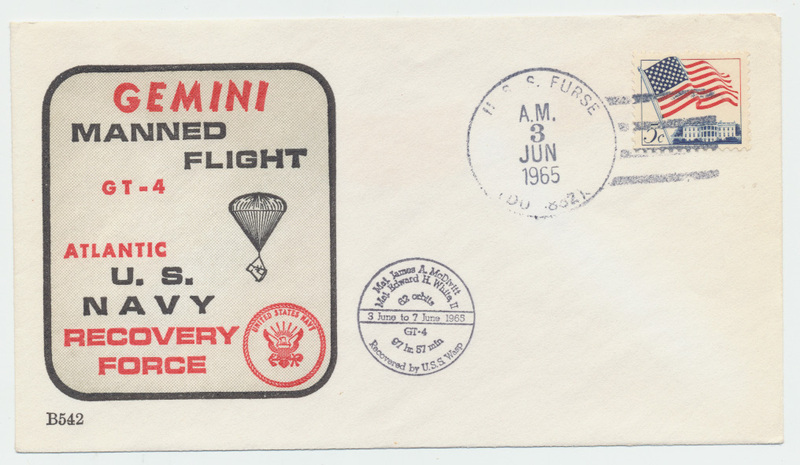 Collectors wishing to have this rubber stamp applied to covers, sent their covers with SASE to Mr. Beck. 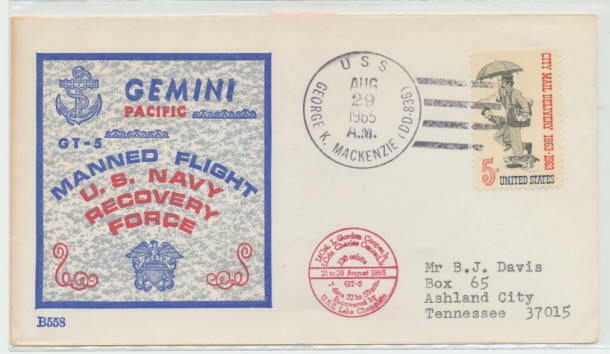 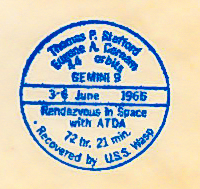 Mr. Beck applied the rubber stamp and returned the covers to the collectors using their SASE. 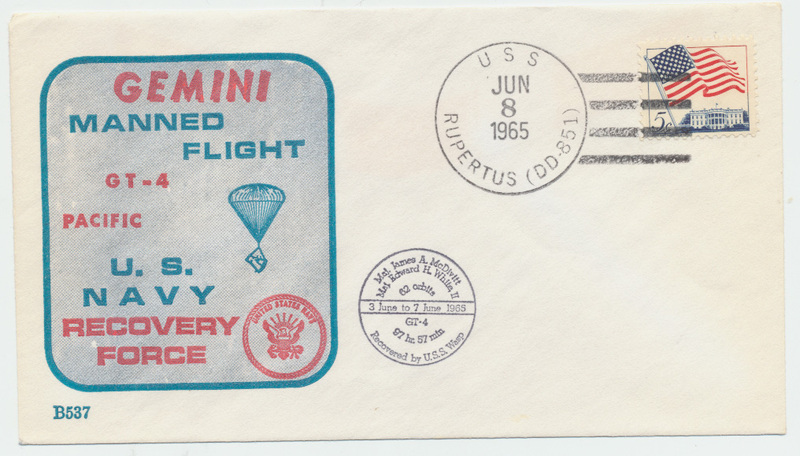 Mr. Beck offered this service to all space collectors who wanted it applied to their covers. 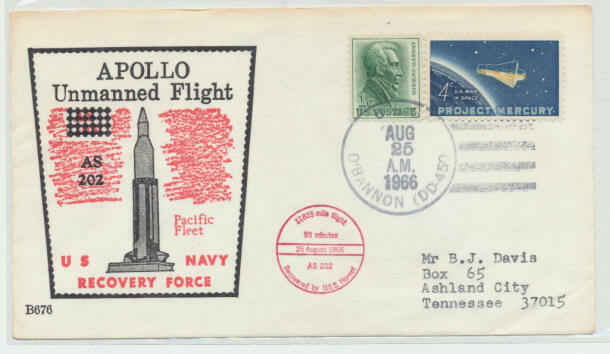 Beck would apply the rubber stamp to other cachet maker's envelopes if the collector sent him the cover after the flight. 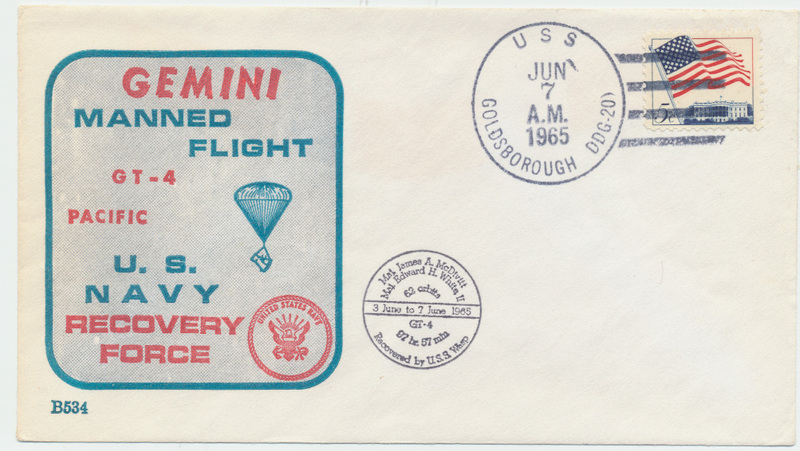 Because the small rubber stamps contain specific flight details we know that these small rubber stamps were applied after the space flight and not before. 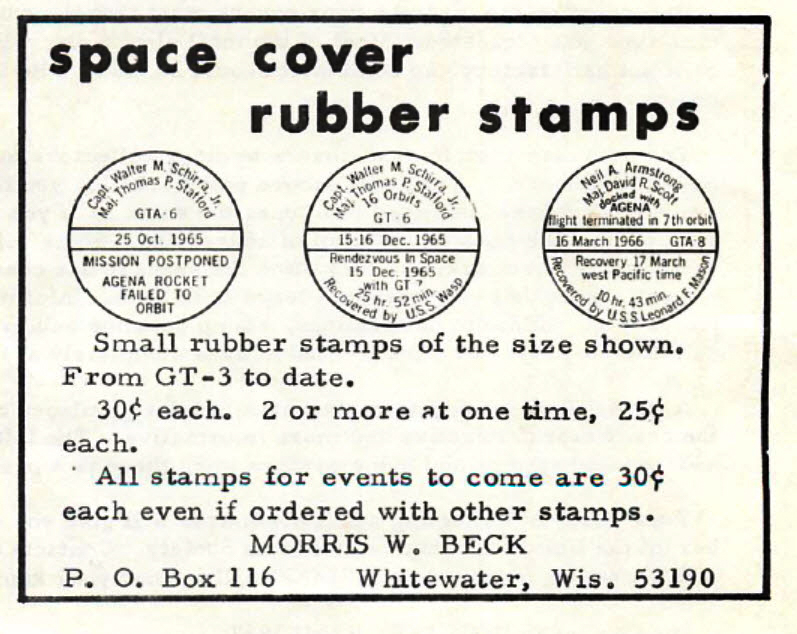 We think that Mr. Beck offered the rubber stamp starting with GT-3. 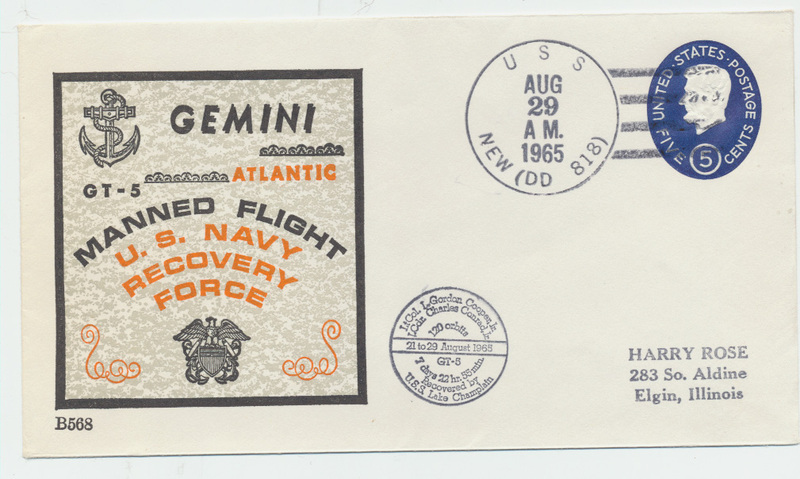 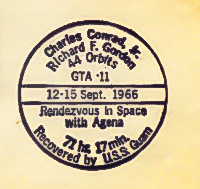 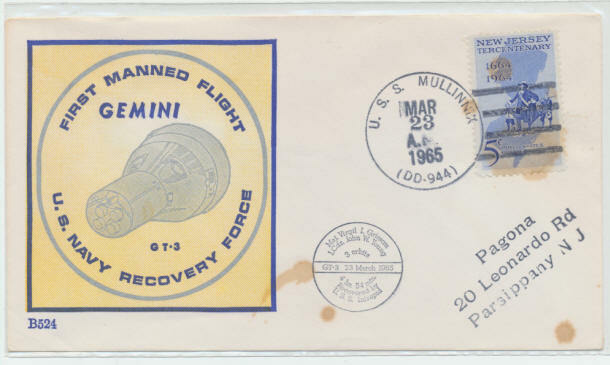 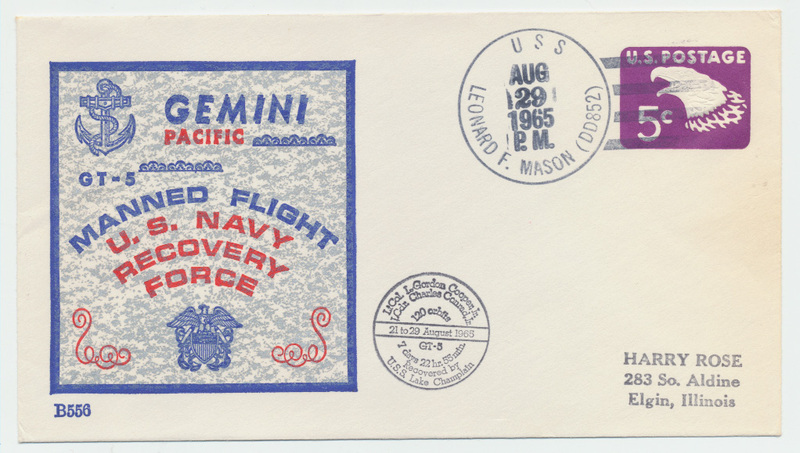 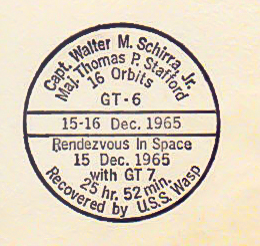 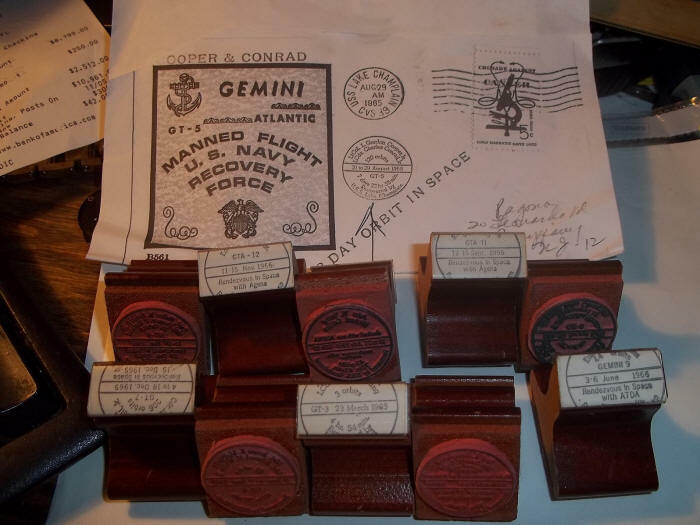 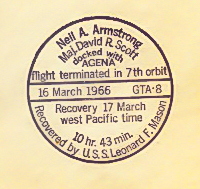 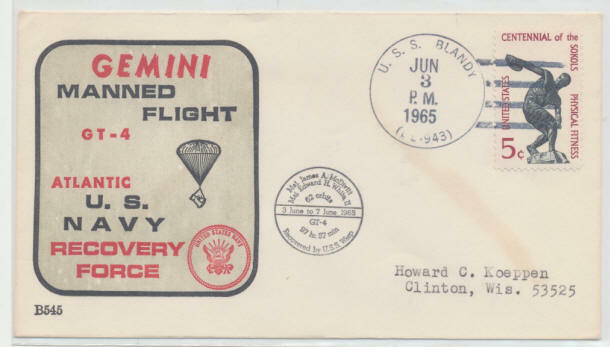 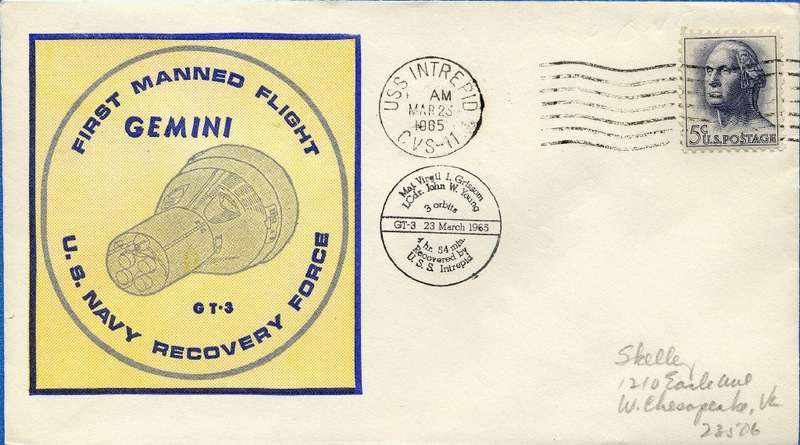 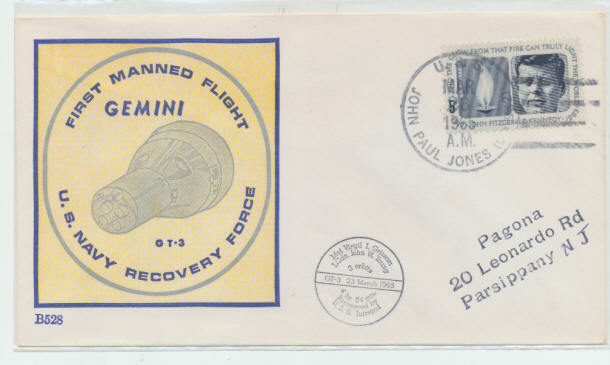 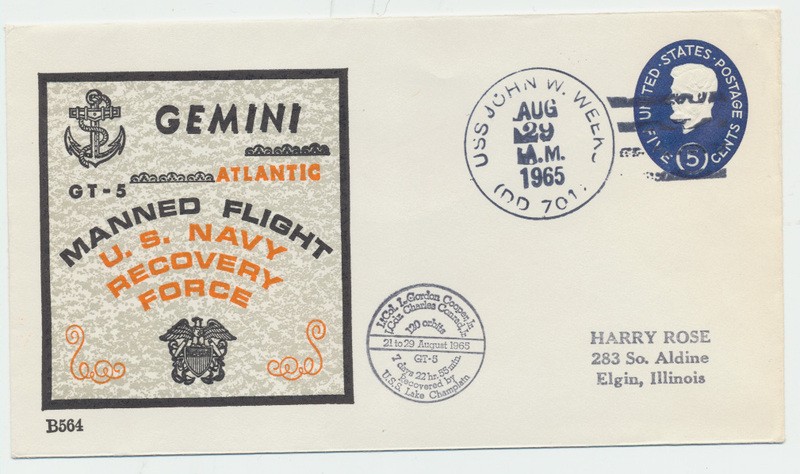 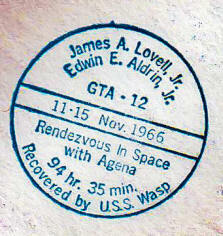 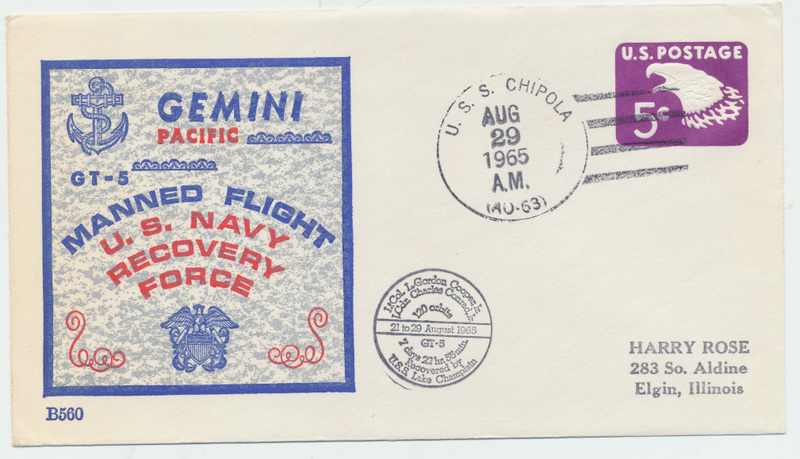 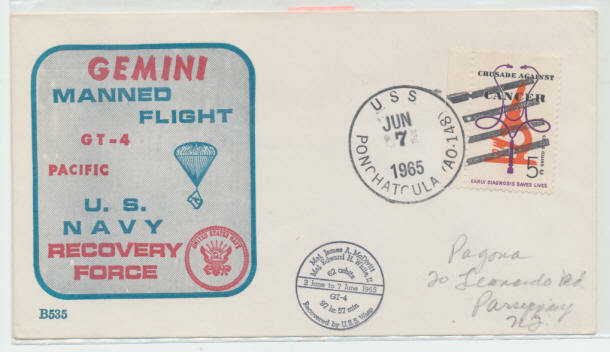 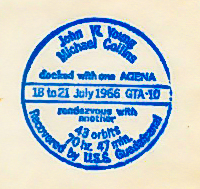 We have seen different rubber stamps specifically for these missions: Gemini 3, 4, 5, 6, 6a, 7, 8, 9, 10, 11, 12. 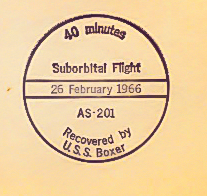 AS-201, AS-202. 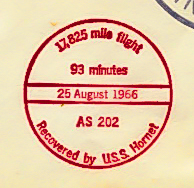 We don't think Mr. Beck kept any records of how many covers he applied this small rubber stamp to, but it must be a small number for each flight. 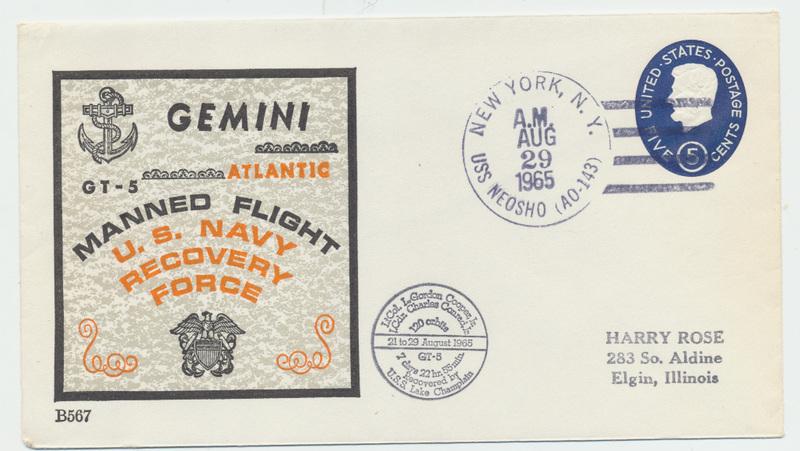 Here is a small random selection of covers with the rubber stamp. 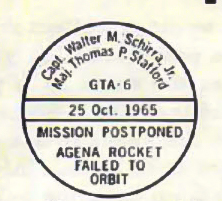 There is not a checklist available. 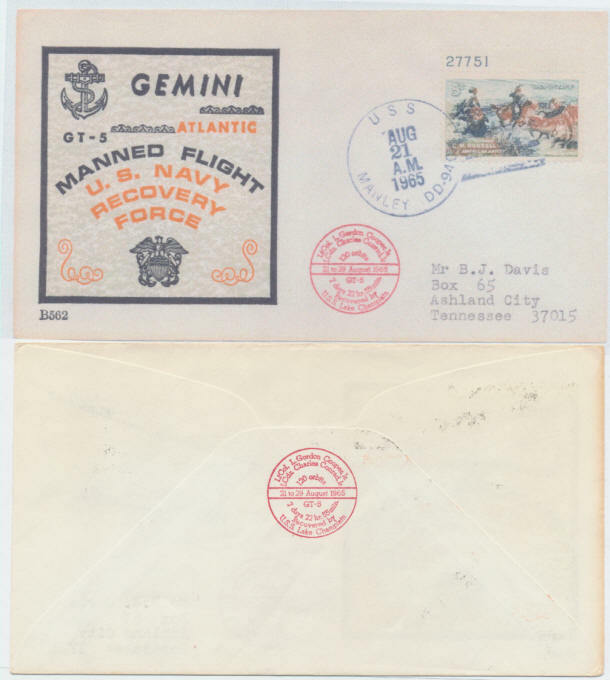 The Cover Above is NOT a BECK printed cover. 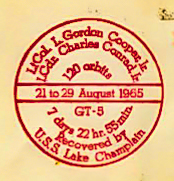 However, the small round cachet was either applied by Beck or a dealer that had the rubber stamps created by Mr. Beck.